Here is a compilation of the competitions our team enters itself into annually. This is an event where we out our combat robots to the test and see if they can not only survive, but win in battles against other Robots. We also compete our Firefighter Robot, which goes through a course searching for a candle flame and its main goal is to not only find the flame, but to also put it out. This upcoming year, the team looks forward to trying to participate in more events such as RoboMagellan, Line follower, and some Art bot competitions. 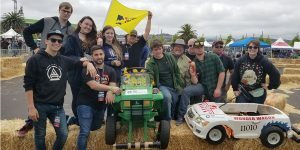 In Maker Faire, we are challenged to take the basic framework of a Barbie-kid car and reinforce it, speed it up, and make it so adults can competitatevly race in a section of Maker Faire called the Power Racing series. The catch f this project is that all the maintenance and extras must remain under $500. It is possible we may want to enter some of our art bots as well, but it is still in the works as to whether or not the team will commit. 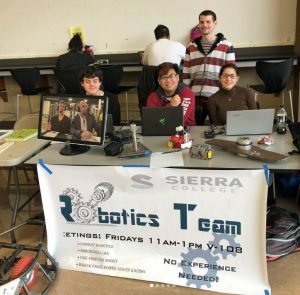 Our Sierra Robotics team works collaboratively amongst a variety of technical and engineering students to build, program, and use robots in competitive settings. 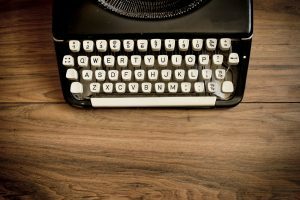 It is encouraged for students to take on specific, designated roles to help make projects run smoothly. • Encourage the pursuit of engineering and technical careers through application. • Celebrate the achievements of team members in their studies and projects. 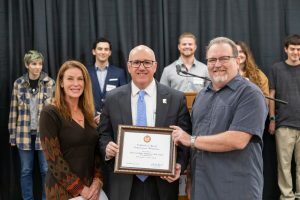 Sierra College Robotics is a place for students interested in engineering and technical careers and this club was created to help students to network with other professionals and to gather and exchange professional information. If you’re a member of either the student body or faculty and you are interested in robots, electronics, or simply want to learn more about robotics, we encourage you to join our club. Get news and early event information, Subscribe. 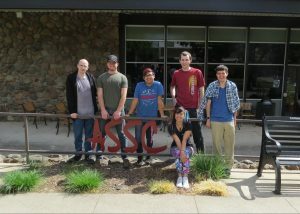 Contact Sierra College's Robotics Club today.